Feminist pioneer Gloria Steinem once responded to a reporter who kindly remarked that she did not look 40, “This is what 40 looks like.” Now, whatever your thoughts and opinions about Ms. Steinem may be, her response to that reporter has always resonated with me. As a woman who has always felt judged by my appearance (not by age as much as by shape and size) I love it when appearance-based stereotypes get shattered. 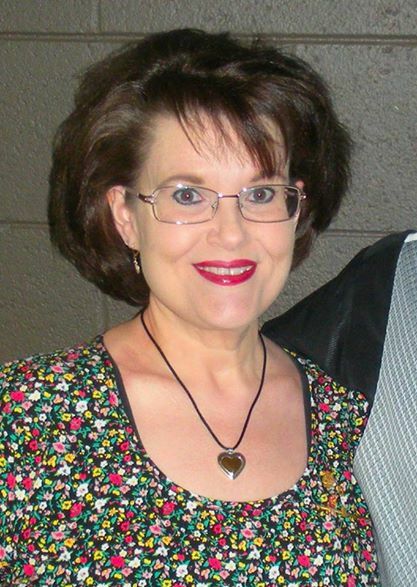 But this post isn’t really about physical appearances as much as what my life looks like today, as I turn The Big 5-0. 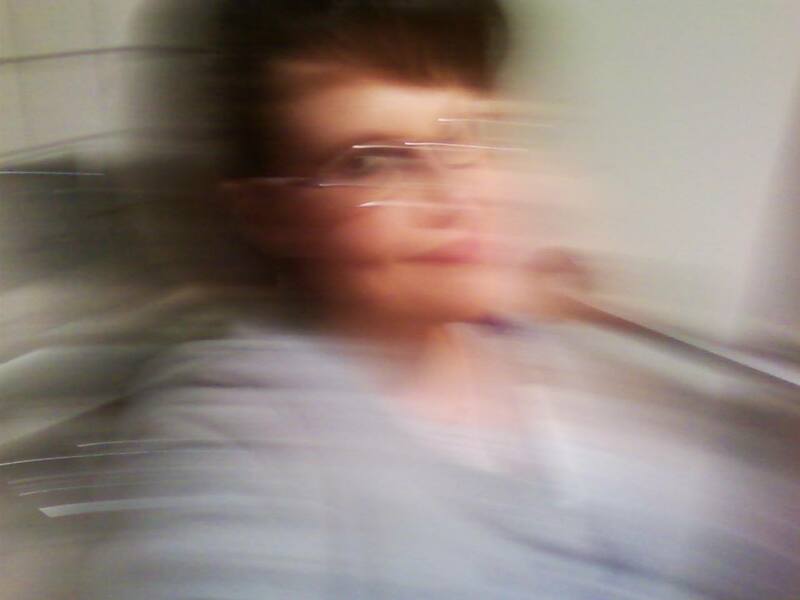 In the spirit of full disclosure I will admit to being a little freaked-out by the prospect of turning 50. It’s a milestone different from any other birthday that happens to have a zero at the end of it. A woman turning 50 often finds herself subject to the slings and arrows of menopause and all the changes associated with the end of the childbearing years. And I am so there. I am relieved that my new GYN actually listened to my concerns during our initial visit and started me on treatment that I hope will help me feel better soon. I went today and renewed my drivers’ license, and I was pleasantly surprised by how similar my photo today looked when compared to the one from my last license 10 years ago. Aside from a marked decrease in weight, I don’t look too different, or too much older. That was a big relief! The biggest surprise about this birthday is how much more content and comfortable I am in my life and in my own skin than I’ve probably ever been before. I remember other birthdays with zeroes on them, and the various kinds of angst I was experiencing with each of them. My life is in a better place now. God has blessed me with a husband who still loves me after all these years, makes me laugh, warms my heart, has been a wonderful dog dad, and makes me feel safe. I have several longtime friendships like that as well. Those relationships are priceless. 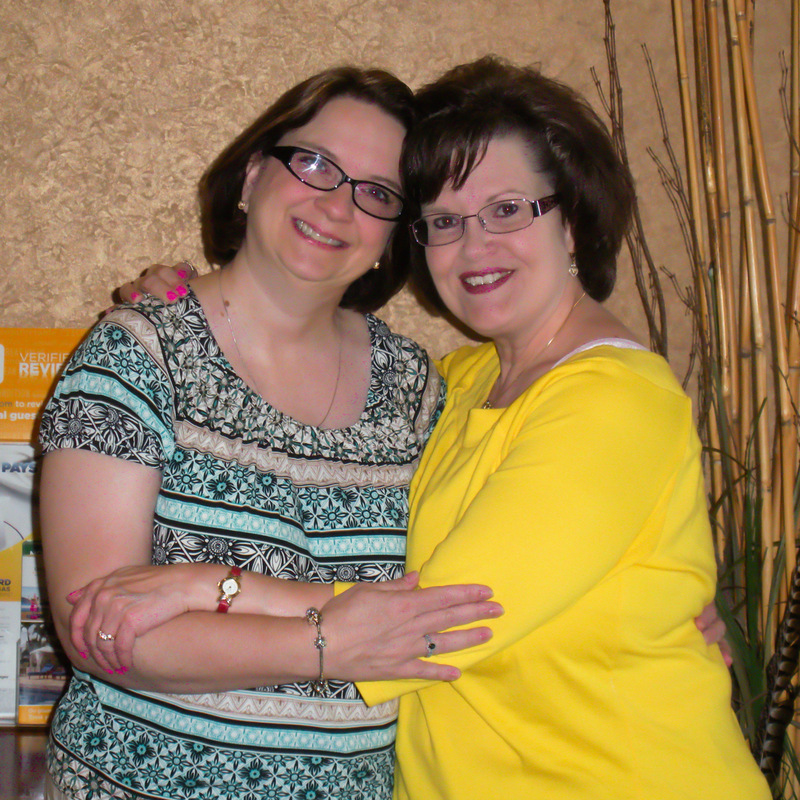 My friend Mary K. and I spent the weekend between our birthdays together. Her birthday is May 15 and was also a milestone. We first met at a Methodist youth assembly when we were 13 or 14 years old. Living in different states, we were pen-pals for decades but didn’t actually see each other again until 2009 when, after about a decade of being out of touch, we reconnected via Facebook. The losses of so many loved ones have all affected me in different ways, but that old adage, “better to have loved and lost than never to have loved at all,” is one I believe in. Yes, the deaths hurt terribly…but I am so incredibly grateful that I have known and loved these precious family members and friends. My life without them would be unimaginable. And they’re not gone forever. They’re just in a place where I can’t see them right now, except when they visit in dreams. The relationships with living family members are all works in progress, just as they’ve always been. I’m grateful for the ones still here who make me feel safe, valued and loved. So I guess my life turning 50 is looking pretty good after all. 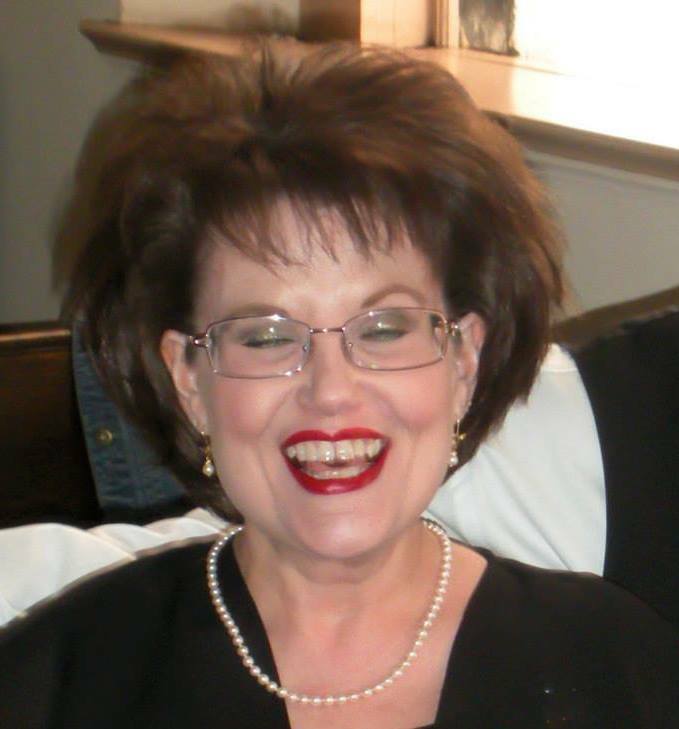 God has been so faithful and brought me through more sadness, disasters and changes than I ever could have imagined experiencing by the time I turned 50. He has also brought me more wonderful surprises, happiness and joy than I could ever hope to deserve. So, what does 50 look like? Sometimes it looks hazy and crazy. Sometimes it looks goofy and spoofy. Mostly, though, it just looks…Blessed. 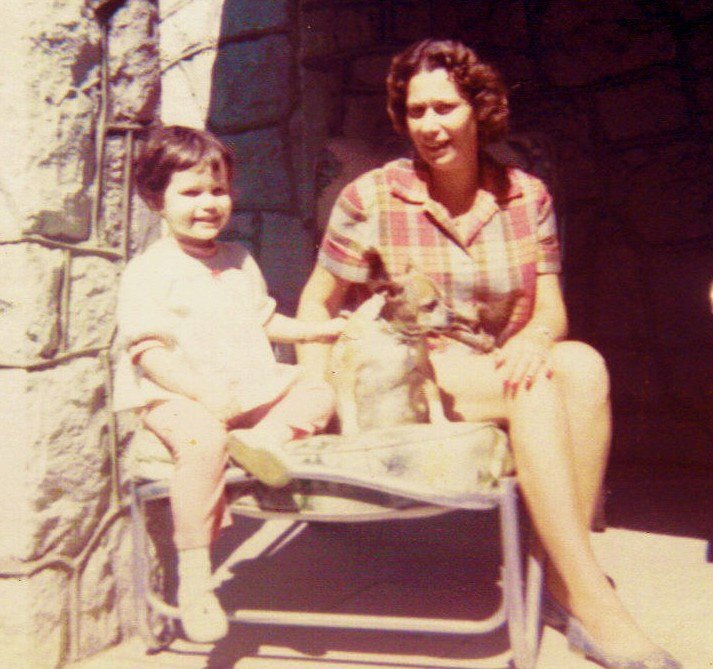 Last week’s calendar contained both Cinco De Mayo and Mother’s Day, which got me thinking about the many women in my life who mothered me in addition to my own Mama. 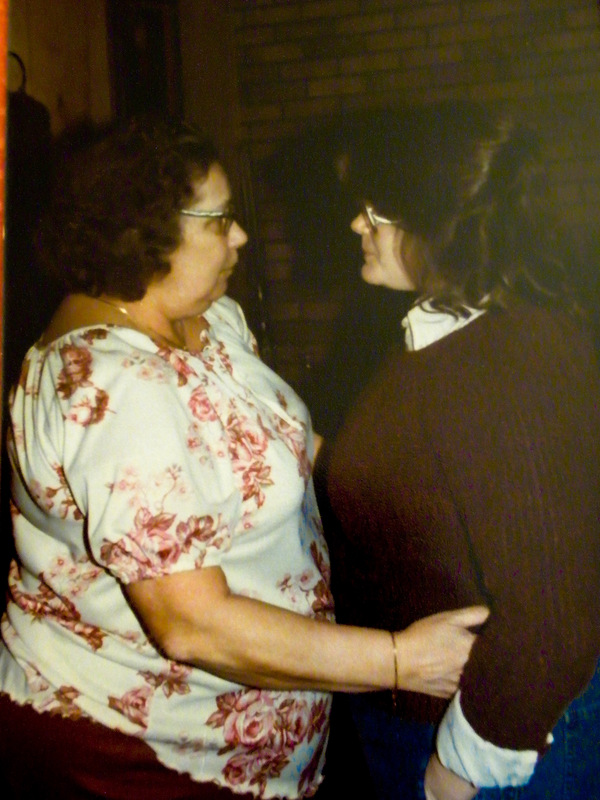 Because Cinco De Mayo/May 5 was also Aunt Martha’s birthday, I naturally had her on my mind. She would have been 87 years old. In describing Mama I have always said that if she were a color, it would be red because of her fiery and passionate nature. I also noted that all of Mama’s sisters, in my mind, have a color of their own. Aunt Martha, to me, is purple…regal, unconventional, stand-out-in-a-crowd purple. Like Mama and the rest of The Big Five, Aunt Martha was a true original, and in many ways unlike her sisters. 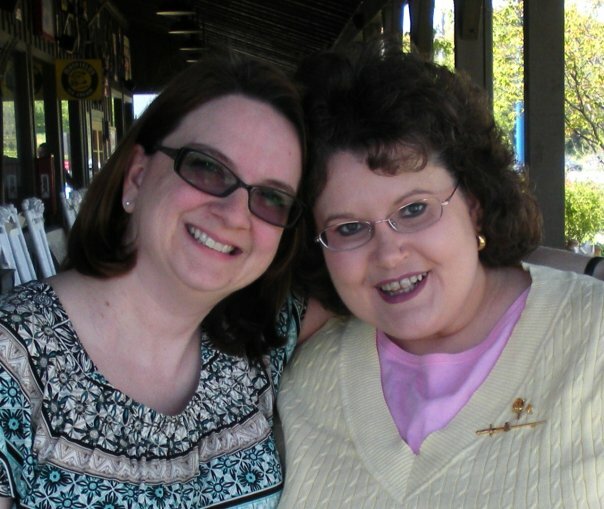 But she and Mama were very much alike in their big-hearted, laugh-till-they-peed-their-pants humor and personalities. Aunt Martha never had human children, choosing instead to be a dog mom. I have followed in this path, and I think that being around her and her little canine companions so much as a child shaped the love of dogs I developed over the years. The first of Aunt Martha’s dogs (or anyone else’s dogs for that matter) in my memory is Susie, a Chihuahua, the breed that Aunt Martha and Uncle John always favored. She was a tiny little thing, even though she was overfed, and because her bones were fragile, Aunt Martha was forever reminding Reed and me, “Don’t run the dog,” meaning not to chase her. 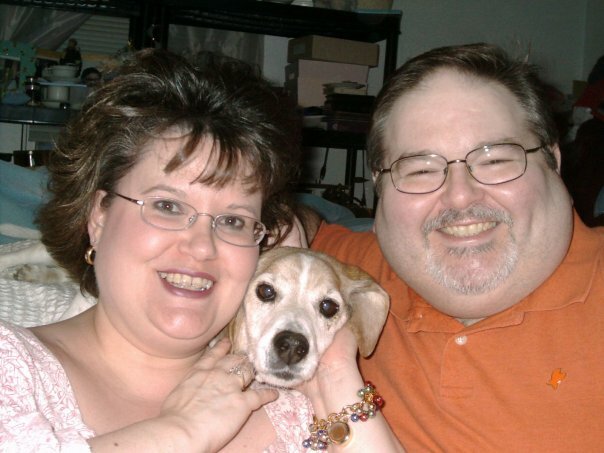 When Sweet Pea and I were finally able to adopt a dog, we chose a Beagle/Basset mix from the shelter. 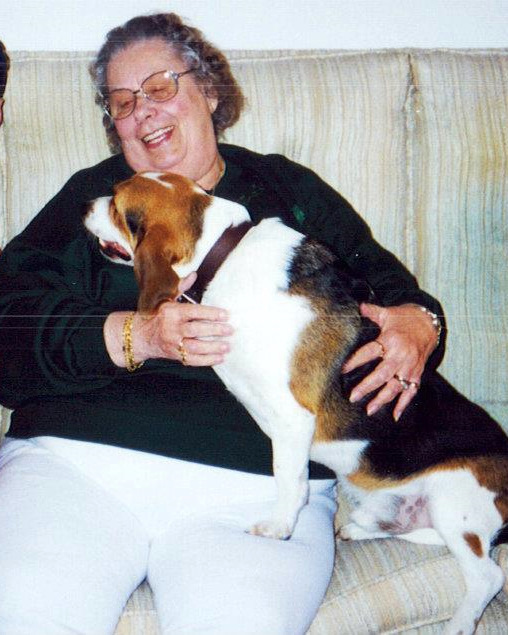 Ernie The Wonder Beagle was not a huge dog, but he was larger than Aunt Martha was accustomed to. She asked me once, “Ain’t his teeth awful big?”, to which I responded, “Well, they fit in his mouth so they must be the right size.” She and Ernie would see each other at Dad’s occasionally and she was always sweet to him, and he loved her as well. Big teeth and all. Some of my musical genes came from Aunt Martha as well. 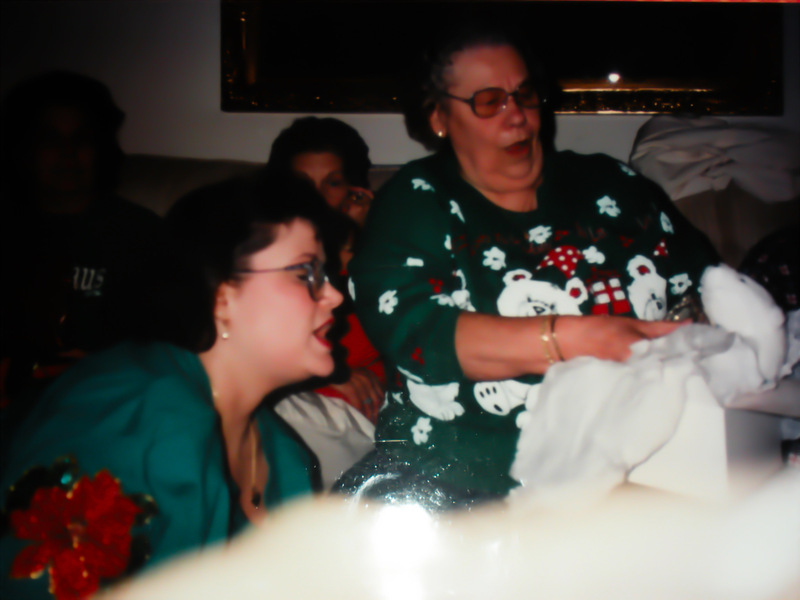 She had a lovely soprano voice that I loved listening to when we would gather around the piano after Christmas Eve supper, harmonizing out of the ancient hymnbooks that lived in Mama’s piano bench. Her voice singing songs like “Ivory Palaces” and “Sunrise Tomorrow” echoes through my memory. She wanted to take voice lessons but Granddad would not allow her to, so to spite him, she quit high school before graduating. When I graduated from college with a degree in voice, she wrote in the card she sent me that she was proud of me and doubly proud of my majoring in music. Maybe she lived out a piece of her dream through me. I hope so. She was a meticulous quilter, her stitches so tiny, close together and uniformly spaced that even a machine couldn’t have done better work. It seemed like there was always a quilt up on frames in her basement. Countless nights I would go with Mama, Aunt Ruby and Mrs. Allred to Aunt Martha’s house. They would work on whatever quilt was in the frames until they couldn’t see straight anymore, drinking tea and Cokes, telling stories and laughing. ALWAYS laughing. And even though I wasn’t helping them, they included me. I didn’t sew then and I don’t really sew now. But when I concentrate, I can do decent hand work. I wish now that I had pulled up a chair with them around the frames. I suspect that I would have learned much more than how to stitch. Christmas Eve 1994, I presented her with a special little gift. 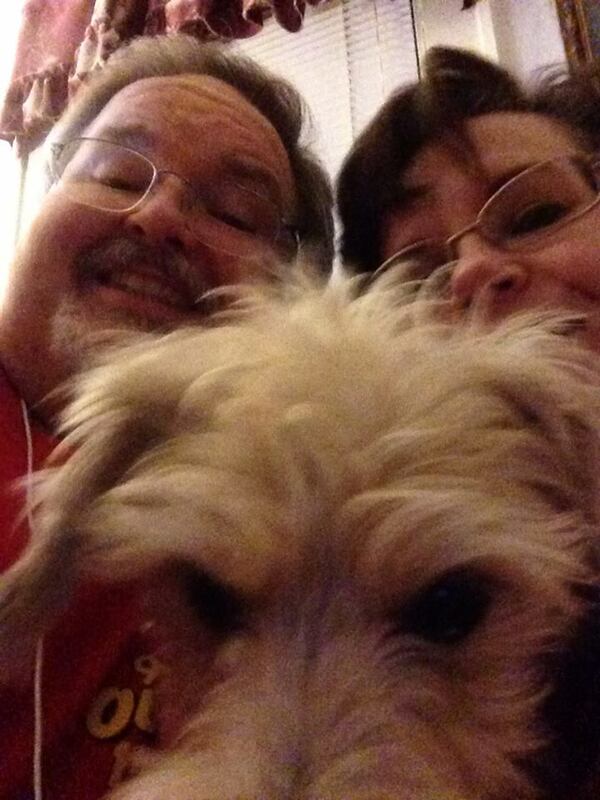 I had found a picture of her and me together with Susie, the one from earlier in this post. I set about shopping for the right frame for it and ended up choosing a beautiful silver frame with a heart-shaped opening that fit the photo perfectly. It was like it had been made to hold that very photograph. I placed the picture inside and gave it to her that Christmas. The picture below is of her opening that gift as I looked on. Her expression is priceless. I think my penchant for collecting things comes from her as well. She collected all sorts of things. Cartoon character glasses and figurines from fast-food places, Beanie Babies, state quarters and California Raisins. Little things like that gave her huge pleasure. She also really enjoyed jewelry and sparkly things, another trait I inherited. 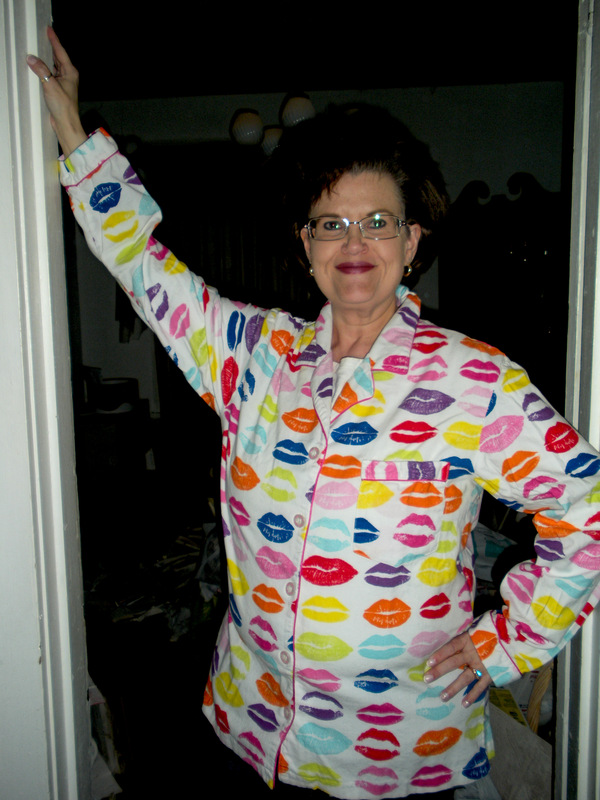 She was gone before I bought the Original Kissy Shirt, but I know she would have loved it, because it is funny and splashy…much like she was. She would approve of the new smaller Kissy Shirt as well, although the weight loss surgery I had and the shrinking process that made the smaller shirt necessary would have worried her to death. I miss her all the time, just like I miss the rest of them. I imagine that her house in Heaven has quilting frames and that she and Mama, Aunt Ruby and Mrs. Allred are reunited there from time to time, working on a quilt for the next family member who arrives there, a warm covering for the bed in their mansion. When I go to meet them, I will have sense enough to pull up a chair and join them around the frames. Most of the time when people refer to a “world view”, what they mean is how they see things, their philosophy of life. I often refer to my own world view when I talk to people about how I see things, the filter or lens through which I view the world around me. My world view is based in my faith, my belief that God’s hand is present everywhere, “working all things together for the good of those who love Him…” as stated in Romans 8:28. I see God everywhere because I choose to look for Him. What I don’t choose, and what is indeed beyond my control, is how the world views me. I underwent weight loss surgery 23 months ago in an effort to find relief from hip and ankle pain that had gotten severe enough to impair my quality of life in a tangible, physical way. I had sustained serious injuries to both my ankles in years past, and the extra weight I carried had put such strain on those joints that I was slower getting around than I wanted to be, and the pain became a real problem. It has always baffled me a little that my knees didn’t really bother me, but the ankles and hips were bothersome enough. Less obvious quality-of-life issues were related to my self-esteem, or the lack of it. I felt a lot of judgment from everyplace, starting (and most painfully) in my own home of origin with a father who had, and probably still has, issues with plus-sized people. For all his concern about my health, which was genuine, he was also just plain embarrassed to have a fat daughter. And for all the academic achievements, good grades, musical accomplishments and other areas in which I excelled, there was always the overshadowing cloud of disapproval because I was fat and Dad disapproved of fat people. One hundred thirty-six pounds after surgery, the world seems to view me differently. But I am still me, I just live in a smaller package now. I move better and my joint pain is gone. Navigating my surroundings is easier because I am able to fit into more places than I used to. My heart wounds are still with me, though, and I’ll probably spend the rest of my life working through those issues. I still see myself inside as a fat girl. That is not an altogether bad thing. That little fat girl made me realize that there are more important things than one’s appearance. She motivated me to develop the other, more significant parts of myself—my personality, sense of humor, intellect and musical ability—because I was never “the pretty one”, I knew I needed something else to make me special and valuable. That little fat girl also weeded out a lot of losers during my dating days, because I knew that a fellow would have to appreciate me for the less obvious, yet more important, qualities I brought to the table. So I don’t want to lose her entirely. She is largely responsible for who I am today and who I continue to become. God is good and I see Him at work everywhere. That is my world view, one side of the coin. The other side of the coin, how the world views me, is up to the world. How God views me is what really matters. Sometimes I am just plain overwhelmed by how gifted my life has been. It seems as though everywhere I look, there is something to be grateful for, some gift I’ve been given that warms my heart. Whether tangible or not, gifts surround me. As I chose today’s clothes and accessories to wear to work, it dawned on me that many of the things I’m wearing were gifts from important people in my life. The denim jacket with the Cinetel logo embroidered on it came from my friend Sam, who gave it to me as he was moving away from the area years ago. I was too large to wear it when he gave it to me, but since weight loss surgery and shrinkage have happened, it now fits with room to spare. It’s a warm reminder of Sam’s friendship and the laughs we’ve shared over the years we’ve known each other. When I wear it, it’s like a hug from him. I am wearing the Vicki treble clef earrings and the Olivia bracelet I mentioned in an earlier post called “Hand Made”, shiny reminders of these beautiful women whose lives have touched mine as we crossed paths through faith and music. Such gifts are a tribute to their thoughtfulness. While I treasure the jewelry (and I definitely do!) I treasure the women and their friendship even more. Each of them is entering a new phase of life right now. Vicki is getting married in 2 weeks and Olivia is finishing up her doctorate and about to begin a new teaching position. My prayers are with them both as they continue on the paths God has set for them. On our last adventure trip to Las Vegas, Sweet Pea and I drove out into the desert to Primm, where there is a huge outlet shopping place. That drive into the desert was astonishing, the rugged beauty of jagged rocks and a huge sky overwhelming me with a view so different from home. That is where my white gold emerald and diamond anniversary ring came from, which I am also wearing today. It was an early 19th wedding anniversary present. The ring is beautiful and I love it…but the relationship with my husband is the true gift. The ring serves as a reminder of what really matters. 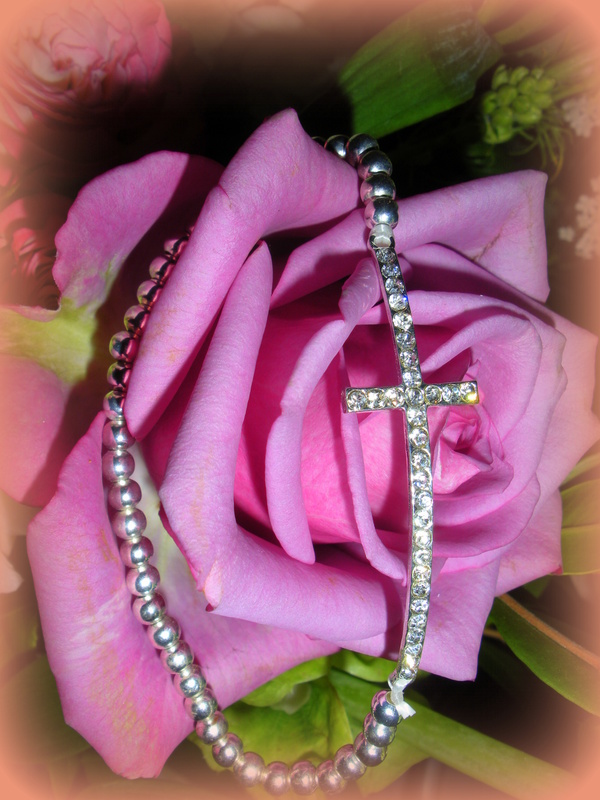 I also wear a little silver bead and crystal cross bracelet. This came from my cousin Judy. She slipped it onto my wrist last August on a hot, muggy morning. It was the morning we buried Aunt Ruby and my cousins had asked me to conduct her graveside service. I think Judy knew I’d need a little extra strength for the day, and the bracelet carried her love and prayers with it. It continues to do so and I wear it with love and gratitude. Thanksgiving following Aunt Ruby’s passing, our family gathered at my cousin Holly’s house for the first time without Aunt Ruby’s presence among us. It was a bittersweet day, with both laughter and tears as we remembered the joy of Thanksgivings past when we gathered at Aunt Ruby’s house on Arnold Street. 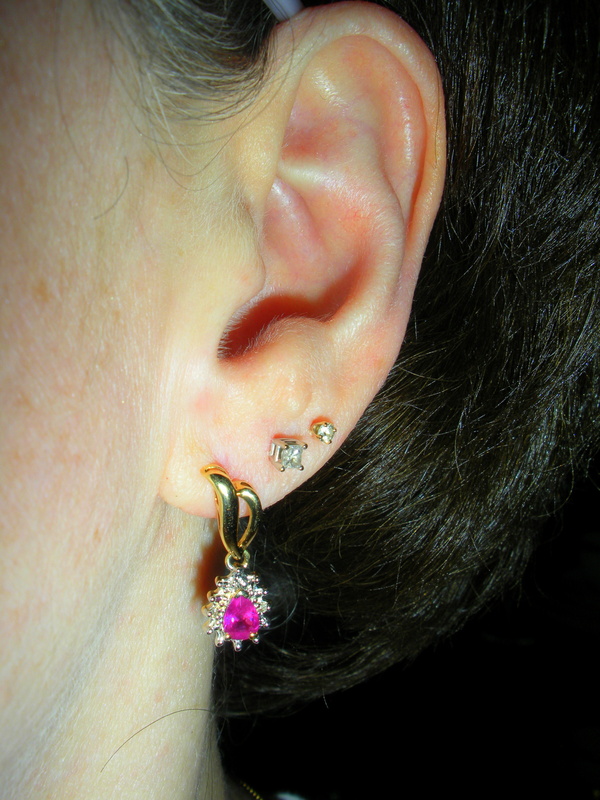 My cousins presented me with a gorgeous pair of earrings, a love gift for preaching Aunt Ruby’s funeral and a reminder of the many roles she had served in our family, among them, the resident ear-piercer. And the gem of choice? Rubies. Of course. Doubly meaningful because Aunt Ruby’s name was also Mama’s birthstone. Everything I have, material and otherwise, came from someplace, from someone. As meaningful and special as the material gifts are, they are just reminders of the true gifts, which are the people whose lives touch mine and the Lord Who brought all of it together in the first place. He put me in the family He chose for me and brought into my path the friends He knew I would need to make my life rich, fun, musical and colorful. So yes, in all honesty, I can say that I am indeed greatly gifted.